The Best Cosmology Blogs from thousands of Cosmology blogs in our index using search and social metrics. We’ve carefully selected these websites because they are actively working to educate, inspire, and empower their readers with frequent updates and high-quality information. About Blog Find latest space exploration and space missions, astronomy and cosmology news, events, stunning discoveries and innovations. Facebook fans 544. Twitter followers 371. Maynooth/Cardiff About Blog My name is Peter Coles and I’m Professor of Theoretical Astrophysics at Cardiff University in Wales and Professor of Theoretical Physics at Maynooth University in Ireland. My research is in the area of cosmology and the large-scale structure of the Universe. Facebook fans n/a. Twitter followers 5,375. About Blog Our future, our universe, and other weighty topics. Posts on cosmology, philosophy, science, physics, astronomy, extraterrestrial life, cosmic evolution, the anthropic principle, cosmic fine-tuning, the Singularity, the Big Bang, the origin of life, the evolution of the universe, cosmic programming and the future of man. Includes nonfiction and science fiction. New York City About Blog David W. Hogg's main research interests are in observational cosmology, especially approaches that use galaxies (including our own Milky Way) to infer the physical properties of the Universe. He also works on models of stars and their spectra, and on exoplanet discovery and characterization. Facebook fans n/a. Twitter followers 5,297. San Francisco, CA About Blog Reddit is a community of millions of users engaging in the creation of content and the sharing of conversation across tens of thousands of topics. Find questions, discussions, and articles about cosmology. Facebook fans 1,187,334. Twitter followers 553,053. Rockville, MD About Blog Find Cosmology news from deep observations of the far reaches of space and time to spectroscopic analysis and more. Read cosmology articles and consider how astronomers view the origin of the universe. Facebook fans 1,754,602. Twitter followers 223,927. About Blog Find information about X-rays from high-energy regions of the Universe from this blog. Facebook fans 285,702. Twitter followers 163,529. Worldwide About Blog Find news and articles on cosmology from New Scientist magazine. Facebook fans 3,645,071. Twitter followers 3,426,358. Batavia, IL About Blog Fermilab's mission is to advance the understanding of the fundamental nature of matter and energy. Facebook fans 95,198. Twitter followers 53,374. Cambridge, Mass. About Blog Keep up with the latest cosmology news and learn about the hunt for dark matter, ponder the nature of dark energy, and discover the earliest galaxies. Facebook fans 610,742. Twitter followers 102,253. CA, USA About Blog Find information related to cosmology, science, space and more from this blog. Facebook fans 158,866. Twitter followers 1,762. CA, USA About Blog I’m a theoretical physicist, specializing in quantum mechanics, gravitation, cosmology, statistical mechanics, and foundations of physics, with occasional dabblings elsewhere. This site contains information about me, including research and my CV, plus news, books, videos, and other activities. Facebook fans 20,593. Twitter followers 2,969. France About Blog The CosmoStat laboratory is an interdisciplinary research group based at CEA Saclay, near Paris, France. Its aim of bringing together a team of cosmologists and computer scientists in order to find new ways to approach problems in the domains of astrophysics, cosmology and signal processing. In this blog its talks about the same. About Blog A Blog About the Science and Sociology of Cosmology and Dark Matter. London, England About Blog Find realities of science & nature beyond matter from this blog. Also find articles on cosmology, physics, astronomy and more. Facebook fans 528. Twitter followers 40. About Blog Find information about cosmology and more from this blog. 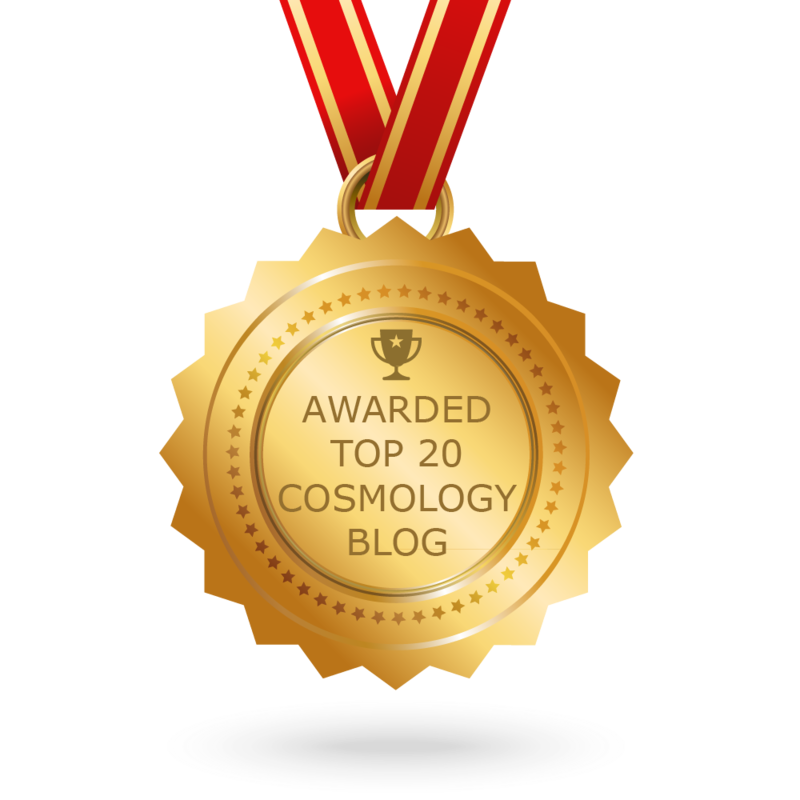 CONGRATULATIONS to every blogger that has made this Top Cosmology Blogs list! This is the most comprehensive list of best Cosmology blogs on the internet and I’m honoured to have you as part of this! I personally give you a high-five and want to thank you for your contribution to this world.